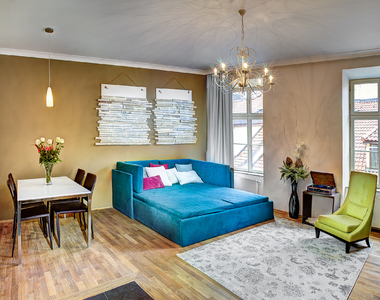 4 Arts Suites Apartment hotel is located in the very heart of Prague just few steps away from the Old Town Square with the Municipal House located directly around the corner. 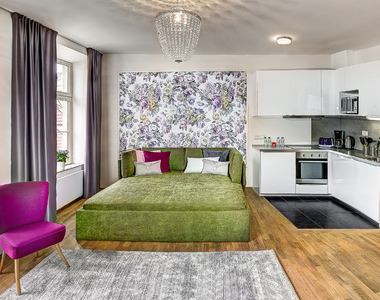 The residence offers 15 uniquely designed and themed apartments focused on Prague’s most famous musicians, artists, and writers. All apartments offer comfortable King size beds with high-mattresses and a fully equipped kitchens for self-catering. Rates include free daily cleaning, fresh towels, bed linens and ecological hotel toiletries. There is a reception on site where we will gladly help you with anything you might need during your stay. Private parking near the residence available for an additional fee (advance reservation needed). Clean and spacious rooms, excellent service. Good surroundings. Restaurant available nearby. Great value and location close to everything. Very easy check in/out and clean modern rooms. Definitely recommend. 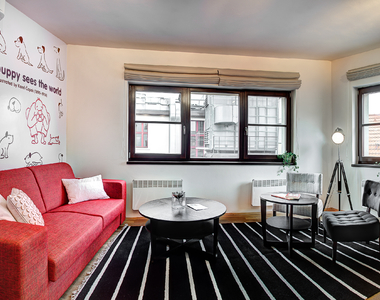 Staying in this apartment you'll enjoy original interior design inspired by the Czech musical composer Bedrich Smetana. The apartment offers calm and relaxation, just like his music that you can listen to on a record player available in the apartment. 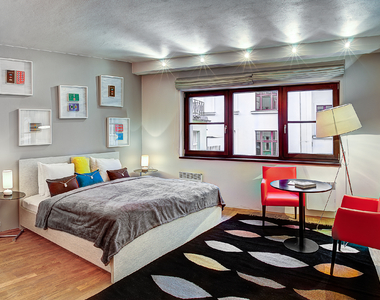 This one bedroom apartment is suitable for up to 4 guests. There is a king sized bed in the bedroom and a sleepover sofa in the living room. Beautiful modern studio inspired by composer W.A. Mozart. Apartment has a DVD player so guests can watch the movie Amadeus, available in many languages for everyone's enjoyment. Cozy studio suitable for up to 2 guests. This beautiful modern apartment's interior design is inspired by musical composer Antonin Dvorak and his beautiful and romantic Rusalka composition. You can relax after a long day in the city listenning a record player and records with Dvorak's beautiful music. One bedroom apartment suitable for up to 4 guests. King size bed in the bedroom, sleeper sofa in the living room. 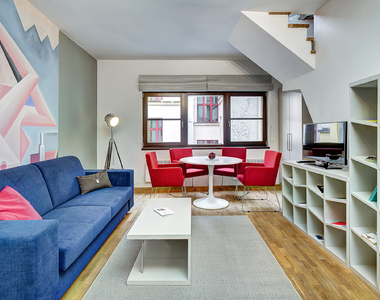 Mordern, light and colorful duplex apartment with original interior design inspired by Cubist art by Josef Capek. The apartment offers a calm and relaxing atmosphere with two stories of living space. The bedroom and a terrace is in the upper floor. One bedroom apartment suitable for up to 4 guests. King size bed in the bedroom, and a sleeper sofa in the downstairs living room. 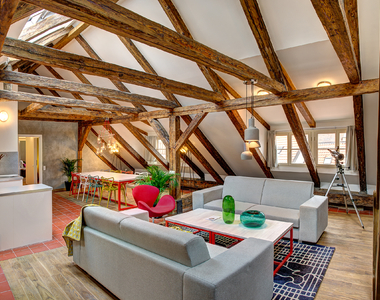 This large attic apartment takes up the whole attic space of the historical building. The interior design is inspired by the scientist and astronomer Johannes Kepler. 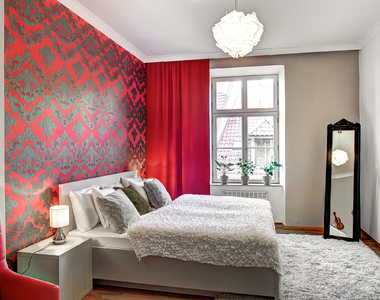 You can use the astronomical telescope in the apartment to observe the night sky of Prague. The apartment offers a calm a relaxing atmosphere in large living spaces with a roof terrace, ideal for settling down after an active day in the city. Three bedroom apartment is suitable for up to 8 guests. Queen size bed in each of the 3 bedrooms, sleeper sofa in the living room.